This is one of my favourite winter soups. I make a huge batch of it, eat it for dinner, then freeze some and eat the leftovers for days afterwards for lunch. Yum! It is a very imprecise recipe but very forgiving! Not a nice job, but there is plenty of meat on the hock. 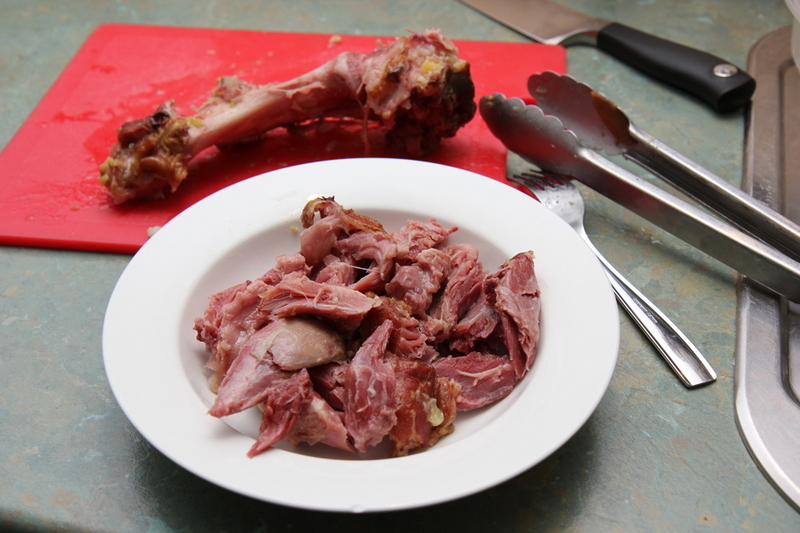 Place the ham hock in the bottom of the slow cooker. Add in the veggies and the soup mix. Add water to cover the hock and to the capacity of the slow cooker. Cover with lid and cook on low for 5-6 hours. Then (this is the bit that almost makes me go vegetarian each time I do it! 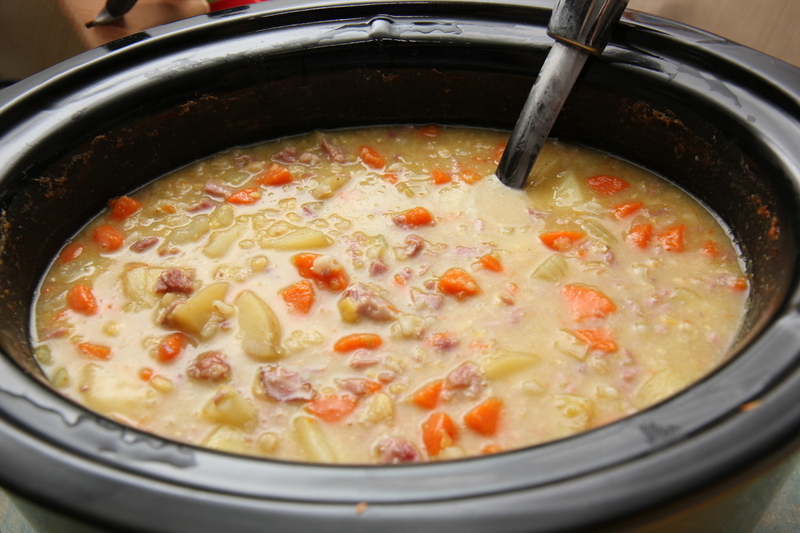 ), remove ham hock from the pot and replace lid. Pull ham off the bone and finely chop. Return to the soup, stir well and cook on low for a further 1-2 hours. You made want to add salt depending on the hock you have used (some are less salty than others).